Good quality lighting isn’t just about energy efficiency and great looking spaces. Better lighting can also support better learning. Our new Education Lighting guide: Brighter Pupils, shows you how to bring these benefits to your next lighting project in a school or other educational setting. We take you through the key techniques and considerations for education lighting projects, the standards and guidelines you need to know about, and take a detailed look at the challenges of different applications, from classrooms to corridors and from labs to libraries. 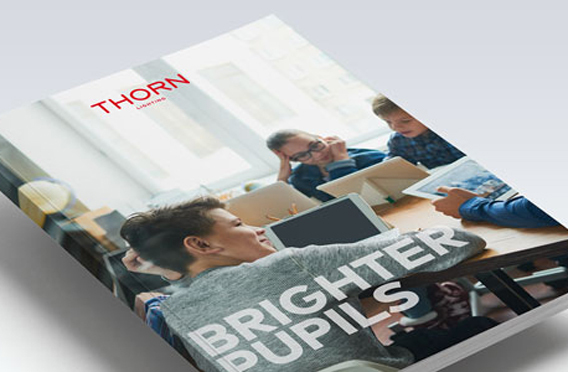 Thorn’s Brighter Pupils brochure also includes examples of successful education lighting projects and, of course, the latest Thorn solutions that can help you achieve the best results - including luminaires that provide the ideal light for classrooms, versatile wall luminaires for a variety of applications, and sound-absorbing fittings for optimal acoustics. DOWNLOAD THE BRIGHTER PUPILS GUIDE NOW!